portable and emergency architecture encompasses lightweight and autonomous structures for flexible mobility and emergency situations. modules provide comfortable living accommodations suitable for a range of climates and tend to be made from environmentally-friendly materials. brice bader spent his childhood traveling between east-asia, the middle east, the arabic peninsula and north-africa. while seeing the exoticism of morocco, this fueled his desire to discover the farthest reaches of the world. 4×4 and 6×6 vehicles allowed him to see africa, the middle east, and thanks to a classic austin ‘mini-moke’, the great desert victoria in australia. the thirst for traveling led him to organize his first charters on a sailing yacht in the caribbean. this solo-mission crossing of the cape in guyana will remain is an everlasting nautical experience for the custom vehicle designer. in 2002, brice met his partner irina and decided to leave everything behind and bring her to discover the world of the middle east. for several years they organized 4×4 raids on the ‘land of the pharaohs; and lawrence of arabia’ together. but there was no way that ira could leave home without her shower! before too long, they realized that traveling as a couple means different needs should be catered for, and quite naturally they decided to work in this direction. from this moment brice, who was used to traveling outside of his comfort zone, decided to put his five years of studies to use and started to draft up some ideas. five years later, wild fennec introduces a new type of all-terrain vehicle: combining a real land rover 4×4, and its all-terrain capabilities; with true comfort during the evenings, including a hot shower and WC inside. 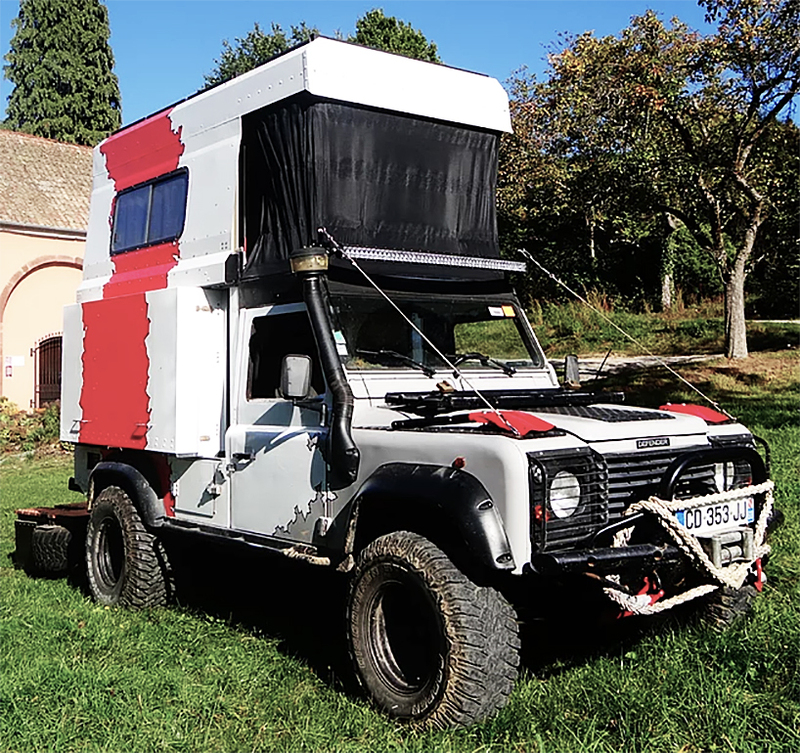 the wild fennec/land rover ‘defender’ can transform from the quintessential off-road vehicle, into a living environment in just 43 seconds, providing the extra-important necessities that otherwise cannot be found in remote locations. 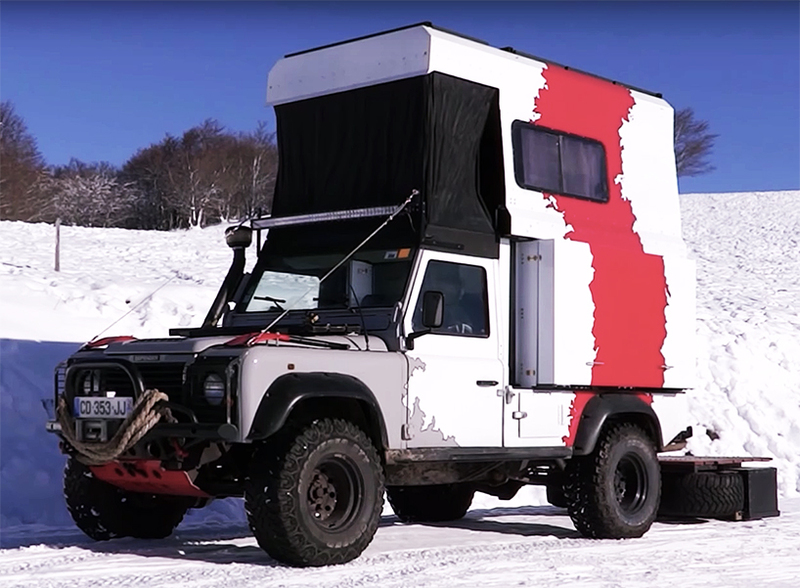 you can view the wild fennec land rover ‘defender’ convert itself into a portable living space in the video provided below.